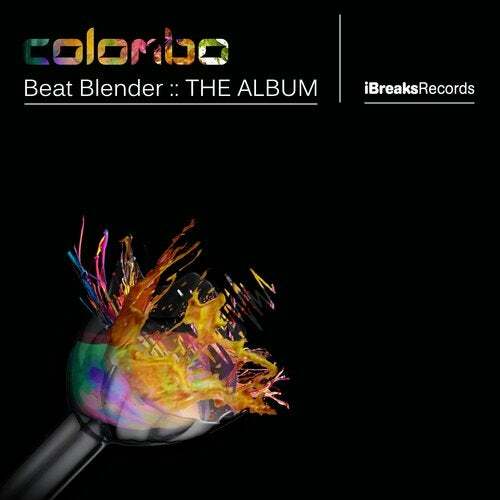 The most prolific producer on the planet, and winner of the Best Producer award at Breakspoll 2015, Colombo returns to iBreaks with his brand new album Beat Blender. Just as youd expect from a Colombo album, theres plenty of flavours throughout. Album opener Sodium eases us into this new collection of work, a deep groover to set a mood and a pace for things to come, making way for Found My Peace (a collaboration with rapper BBK) which keeps the bass low but pushes the energy slightly. Continuing the albums progression is You Panic with its large throbbing bass and metallic synths. Peak time moments come in the form of the ravey Caliphate, the driving beats and bass of Catch It and floaty uplifting vibes of No Good. More steppy, heavily swung rhythms are explored on The Scratch and Patterns, both of which could easily be undiscovered classics from the early 2000s breakbeat-garage scene. A crazy nuskool vibe is evident throughout Red Frog, one of the more standout tracks on the album, with its buzzing call and response synths. Vibrate is a bonafide floor filler with a more party vibe, contrasting the darker sounds of My Mind Strange and Always Keep where the beats and bass do the heavy lifting with just the right amount of melody to keep things interesting. Closing track Instruments is pure Colombo, ending on a high and rounding off this collection perfectly. Beat Blender does exactly what it says on the tin - blends together sounds, textures and moods to create a truly inspiring release which will have to grooving and reaching for the lasers in equal measure.